From now until New Year's Day the Suffolk County Sheriff's Office will be enhancing its enforcement of handicapped parking restrictions. The Suffolk County Sheriff Vincent F. DeMarco and Suffolk County Police Commissioner Richard Dormer announced last week that the annual enhanced targeting of handicapped parking violations in the county through the new year. Handicapped parking violations are common, and even more so during the holiday shopping season. It is expected that this effort will deter parking violations this season, and leave handicapped accessible spots open for those who need them. “Careless shoppers making that five minute stop may prevent those legitimately entitled to handicap parking from completing their holiday shopping, or worse, from accessing their vehicle to get home,” the department said in a statement. 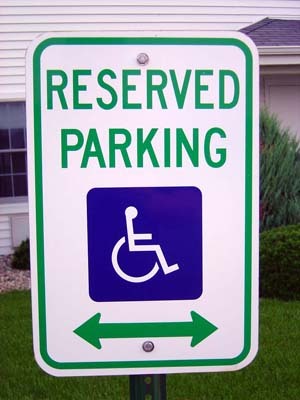 The Sheriff’s Office has asked for assistance in catching handicapped parking violators in the act. If you witness a potential violation, the Sheriff’s Office directs you to use the email tipline to inform authorities, and be sure to include information such as the date and time of the incident, the exact location, a description of the vehicle and the license plate number. Photos may be included in the email report. Tips can be emailed to SheriffTips@suffolkcountyny.gov. Subject: LongIsland.com - Your Name sent you Article details of "Suffolk County Sheriff Targets Handicapped Parking Violators"